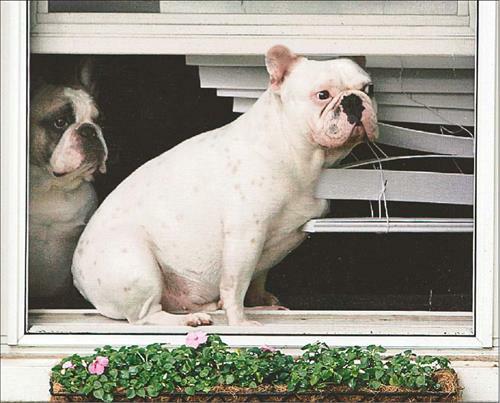 Why buy off-the-shelf when you can have gorgeous window coverings made especially for you? 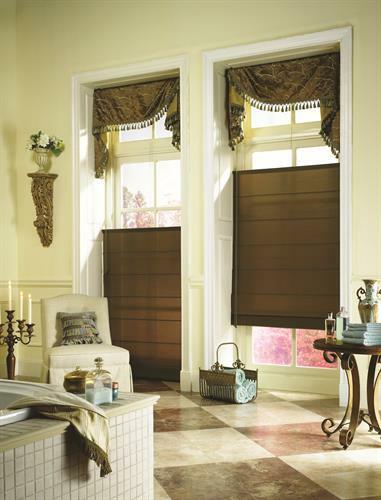 Budget Blinds makes it easy because we bring the showroom to you. We will bring samples, help you design, measure, order, inspect, install and warranty your purchase. And our custom window coverings are amazingly affordable. As the world's largest window coverings franchise, we have the buying power to get you the very best prices on all the best brands. 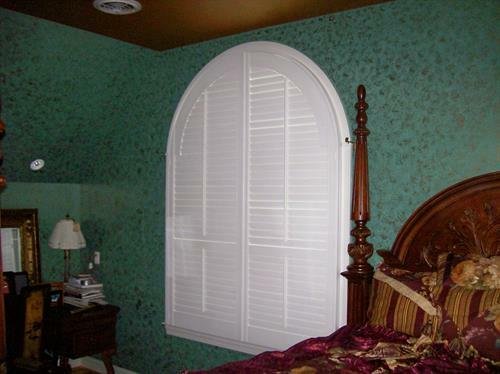 Surround your room in timeless style with shutters. 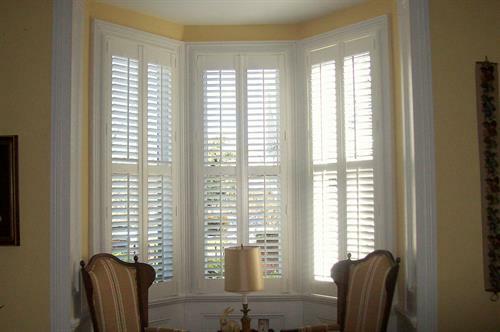 Shutters work in both classic and modern rooms. Let your style shine through with wood blinds. Made of 100% hardwoods from certified forests. 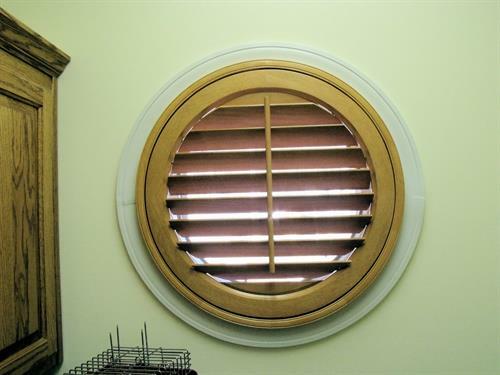 Faux wood blinds are perfect for all types of environments. 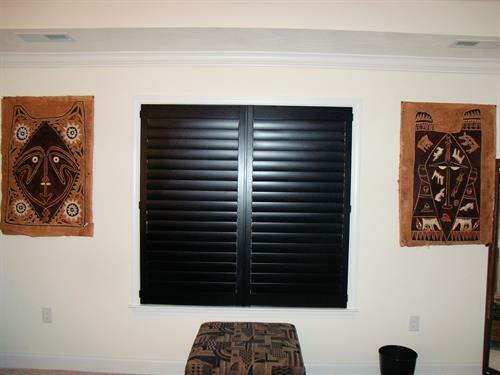 Beauty comes naturally with our woven wood blinds. Eco-friendly shades handcrafted form organic materials. 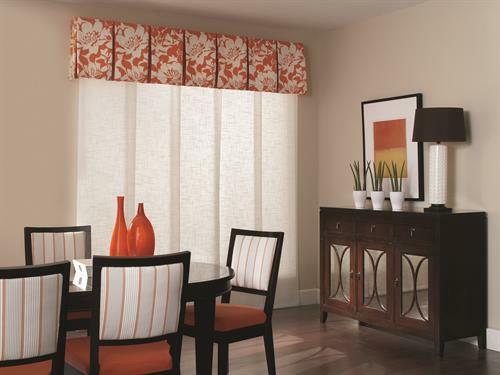 Honeycomb shades look great and have insulating properties against the elements. Top down/bottom up shades with toppers. 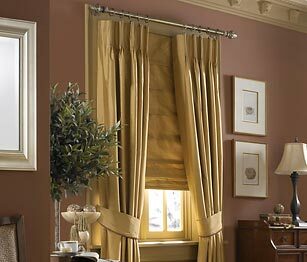 Drapery panels accent a roman shade. Panel track and kick pleat topper. 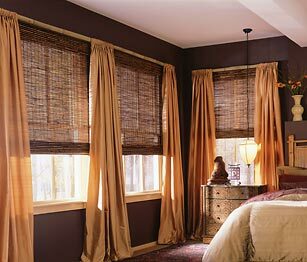 Woven wood shades with puddled drapery panels.